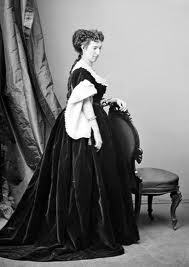 Belle Boyd served the Confederate forces in the Shenandoah Valley. 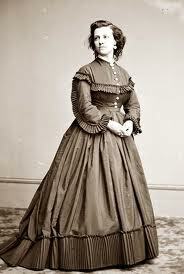 Born in Martinsburg-now part of West Virginia- she operated her spying operations from her father’s hotel in Front Royal, providing valuable information to Generals Turner Ashby and "Stonewall" Jackson during the spring 1862 campaign in the Valley. Then later the general made her a captain and honorary aide-de-camp on his staff. As such she was able to witness `troop’s reviews. 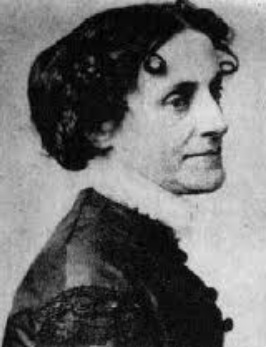 Betrayed by her lover, she was arrested on July 29, 1862, and held for a month in the Old Capitol Prison in Washington. Exchanged a month later, she was in exile with relatives for a time but was again arrested in June 1863 while on a visit to Martinsburg. On December 1, 1863, she was released, suffering from typhoid, and was then sent to Europe to regain her health. Pauline Cushman was born as Harriet Wood in New Orleans, but when the war broke out she was a loyal unionist, and she found a way to serve her country. She enlisted in the Secret Service as a spy. Her first assignment was in St. Louis, Missouri where she was to find Confederate spies and end their operations there. From St. Louis she was sent to Nashville, Tennessee with the same mission. In May of 1863 General Rosecrans was preparing to drive General Bragg across the Tennessee River and Cushman was sent into the Army of the Tennessee to gather information on the strength and location of the army. And after she was caught by General Bragg when she was sentenced to be hung on the spot but they had the place she was imprisoned evacuated and they forgot all about her. Sarah Emma Edmonds fled to the United States because of the abuse from her father. Sarah was born in Canada about 1841. She was living in Flint, MI, as a male bible salesman when the Civil war broke out. 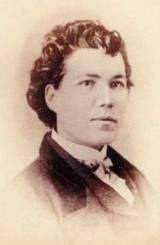 Sarah failed three times before she was accepted into the army as Franklin Thompson in the second Michigan Infantry. She also became a spy and was disguised as a black man, a woman and a young male southerner. One day she got sick with malaria so she left camp to check in to a hospital to recuperate. The news was brought to everyone that Franklin Thompson has fled the battle. That basically ended her career as a soldier. She still applied as a nurse and helped out on the field afterward. Jennie Hodgers was born in Ireland in 1834 and stowed away in a ship that arrived in the USA in 1853. In 1861 she was living in Belvidere, Illinois and enlisted as Albert DJ Cashier on August 3, 1862 in company G 95th Illinois Volunteer infantry. She served in the battle of Vicksburg, Atlanta, Nashville and Mobile. She remained as her guy role for the rest of her life actually. She was also the shortest “soldier” in the infantry. Elizabeth Van Lew was born in 1818 to an aristocratic family. She was sent North for an education and when her family freed their slaves, so were many of them. Many of her family's slaves stayed with her and even became part of her spy ring. Miss Van Lew was one of the many spies who decided independently to spy for her government. Since she lived in Richmond, Virginia it was practical for her to inform Washington of activities in Richmond. In the beginning she sent her information straight to President Lincoln himself. Eventually she sent her information to General Grant's intelligence officer, General Sharpe. Miss Van Lew used methods of transferring messages that were ahead of most of her contemporaries. For example she wrote her messages in a special ink that could only be read when milk was applied to them. Another famous woman soldier was Sarah Rosetta Walkman. She was born in New York State In 1843. She dressed like a man, left home to Binghamton, NY, where she worked for a couple of weeks before getting a job as a boatman on a coal bridge. When she was drafted to the army her fake name was Lyons Wakeman. Sarah joined the 153rd Regiment of the New York State Volunteers. She was enlisted on August 30th, 1862. Before she entered combat she got chronic diarrhea. She was hospitalized and died in New Orleans on May 22nd, 1864.